As is true in any type of medical or dental issue, no treatment should begin until a proper diagnosis of your TMD has been established. Myalgia Pain: This is another term for muscle pain. It is the most common form of TMD and most often involves the muscles that move the jaw. Internal Derangement: The disc in the TM joint is out of position. This may cause clicking or locking. Associated with this may be synovitis or inflammation of the joint. Arthritis: The most common form of arthritis is osteoarthritis or sometimes referred to as “wear and tear” arthritis. This is caused by a loss of cushioning of the joint. Less common than osteoarthirits is rheumatoid or psoriatic arthritis. These are more reflective of systemic or autoimmune disease processes that can affect many joints. In order to “see” into the TM joint several types of images are available, to assist making a diagnosis. PANORAMIC X –RAY: This shows the basic bone structure and is only 2-dimensional. C-T SCAN: This is a computer assisted x-ray which is very accurate in viewing the bones in 3 dimensions. This is the standard imaging. Some TMJ experts will have CBCT imaging as this uses far less radiation. TMJ experts will CBCT (cone beam computerized technology) imaging as this uses far less radiation. 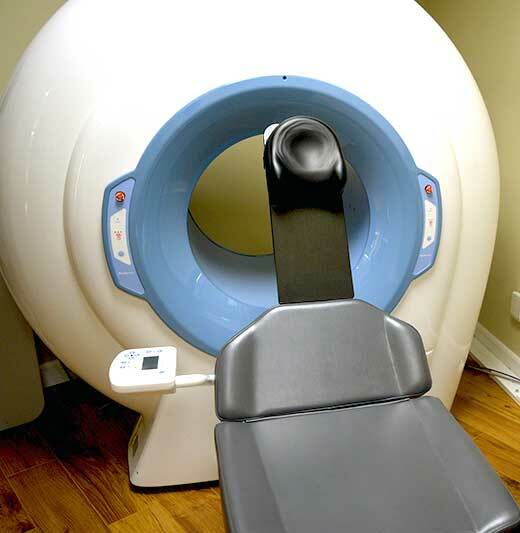 MRI: This is used for visualizing soft tissues such as the TMJ disc and can also show fluid in the joint. BONE SCAN: This test can show bones that are actively growing and is usually hospital based.